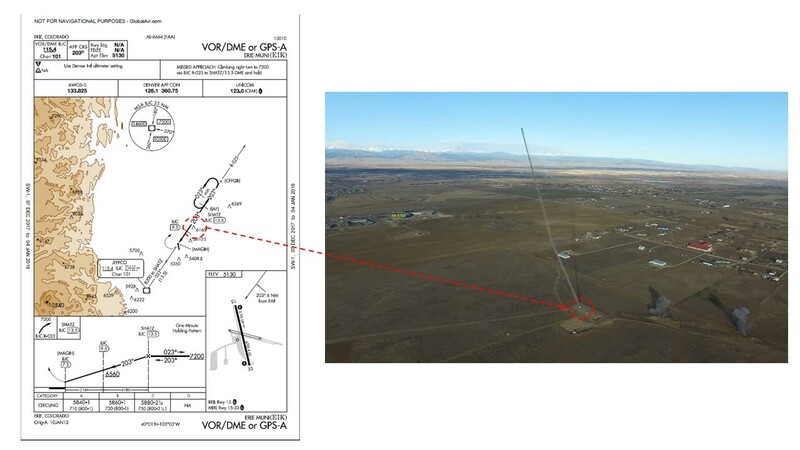 On December 20, 2017 there was news that a moth balled NOAA radio tower was demolished somewhere in Erie, CO. Low and behold, it is the tower close to EIK airport and on the VOR/GPS approach plate. They detonated the guide wires (see smoke) and it fell down like a slinky. Still shot on it's way to the ground is captured in the included image. So when you are looking for this landmark and cannot find it - there's a reason!